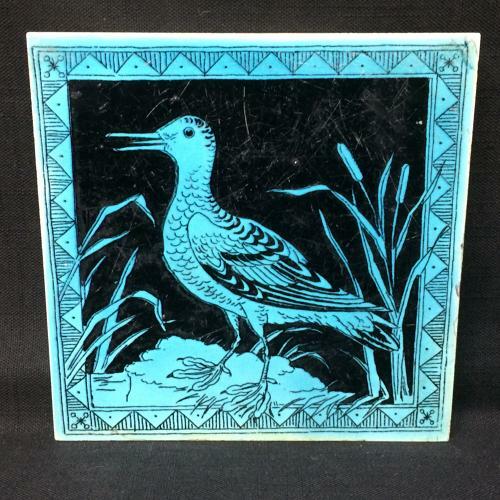 This large Victorian 6 " x 6 "tiles is transfer printed in black and over glazed in a bright lavender glaze. Good condition but has considerable scratching to surface. A rare find.